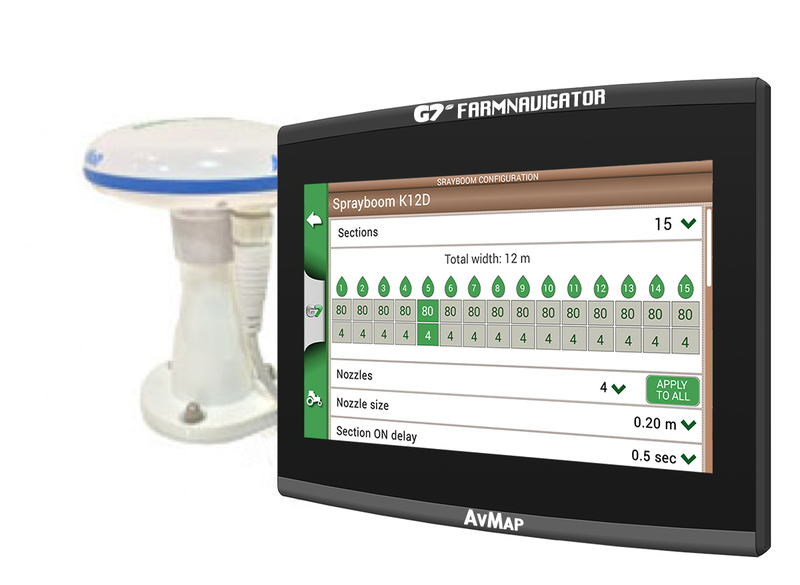 G7 Ezy Farmnavigator comes with a re-designed and simplified Graphic User Interface to help the operator choose the right settings, follow the guidelines and save everything more easily. The Advanced Parallel Guidance features now adaptive contour guidelines: the parallel lines adapts as you drive and avoid obctacles. You can also choose Pivot guidelines. Another improvement is the new management of the database of fields, jobs, implements, farmers, drivers and products to keep track of everything. Visit Farmnavigator.com for more info!